• Continue conversations around the works of disabled and non-disabled authors. • Explore how such portrayals may or may not be applicable to our lives. • Build connections between students and members of various communities. Please refrain from wearing any scented products. 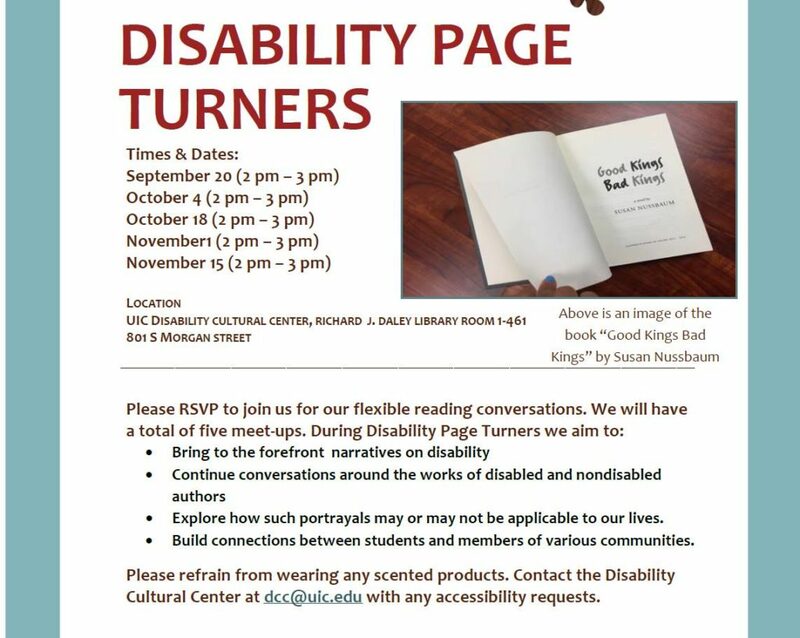 Contact the Disability Cultural Center at dcc@uic.edu with any accessibility requests.